Hello! 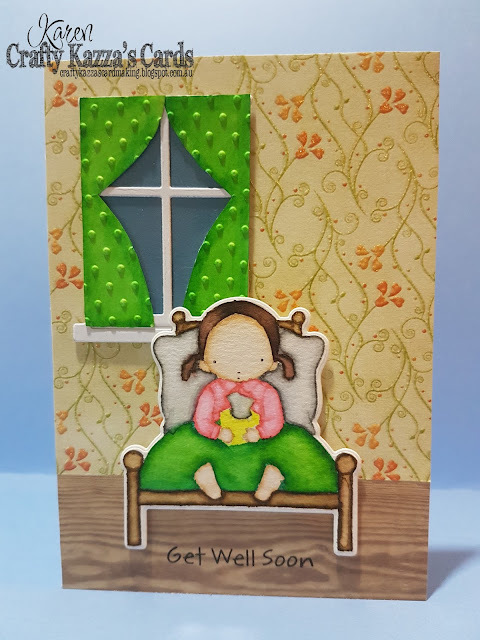 Today I am sharing with you 3 cards that I made this week using the only My Favorite Things Pure Innocence stamp set that I have; it's titled "Bed Rest". I recently bought this set as I have very little in the way of 'get well' sorts of stamps in my stash. 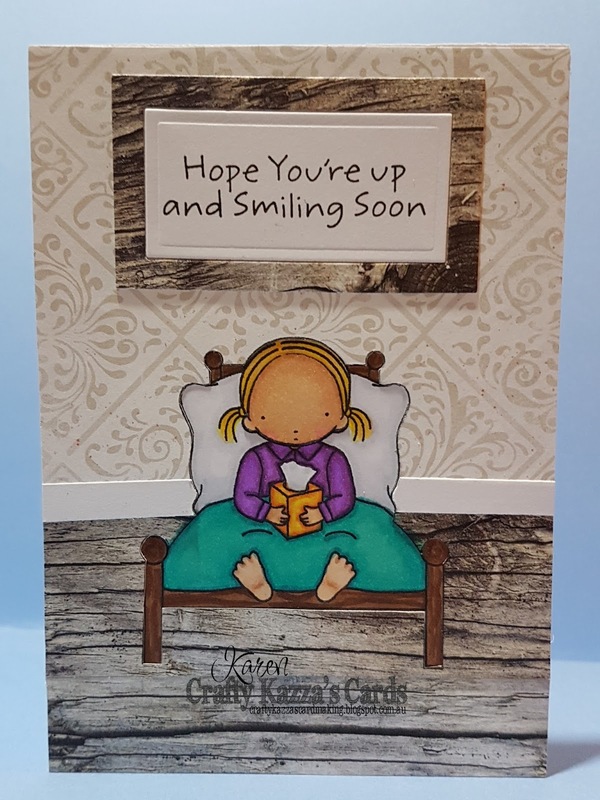 When I first saw this stamp set, I immediately saw her in a bedroom, so that's what inspired me to make the following cards. For the first two images, I coloured them with copic markers, listed below. The third image was done with water colours, zig clean color real brush markers. 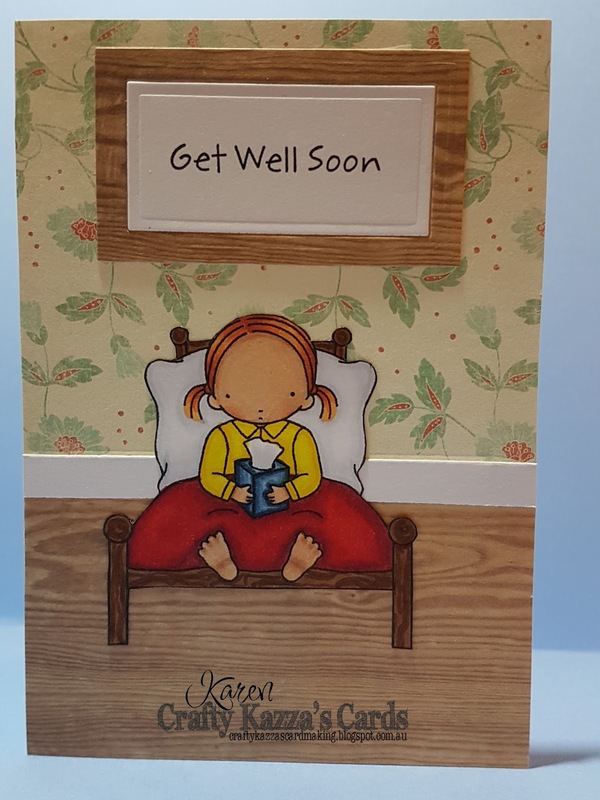 The first card I made has the girl in a purple bedshirt and aqua-ish bedspread. I did this one in the most difficult way possible as I didn't want to die cut her and the bed out as the die leaves a white border around the die cut. So, I stamped the portions of the stamp on the designer series papers (dsp) and cut the bed image OUT OF the papers! I do not recommend you do this, it's just silly! It turned out great, but it's a little funny as when you touch it, the image is actually indented as the background is built up around it. For the second image, I smartened up a little and did it an easier way. I just fussy cut the girl in bed out of the copic xpress it blending paper and stuck her to the layers of dsp on the base. This worked out so much easier and when you run your fingers over this one, she is slightly raised above the background, which makes more sense. For the third one (my favourite) I attempted my second ever go at no line colouring. This is when you stamp the image in a light ink (usually one that will wash away with water - I used scattered straw distress ink). The difference between no line colouring and lined colouring seemed quite obvious to me until recently when a friend asked about it. Lined colouring has a distinct outline (like the copic coloured ones above) and the no lined ones do not have defining lines (as below). I used a window die from a magazine that I bought from the last Brisbane Papercraft Expo (in June) and made my own curtains (and a template for later use). I coloured the curtains in the same green combination as the bedspread and then ran it through a dotty embossing folder. Unfortunately, I didn't record the colours used in the watercolouring this time as frankly I wasn't expecting any results worth taking note of! I'll be sure to include them in the future though. 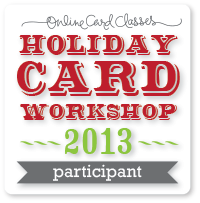 Thanks for stopping by and commenting if you have and I hope you have a lovely day!